Lets say good bye to 2018 & welcome 2019 with a bang. Join us for our New Years Eve Bash! 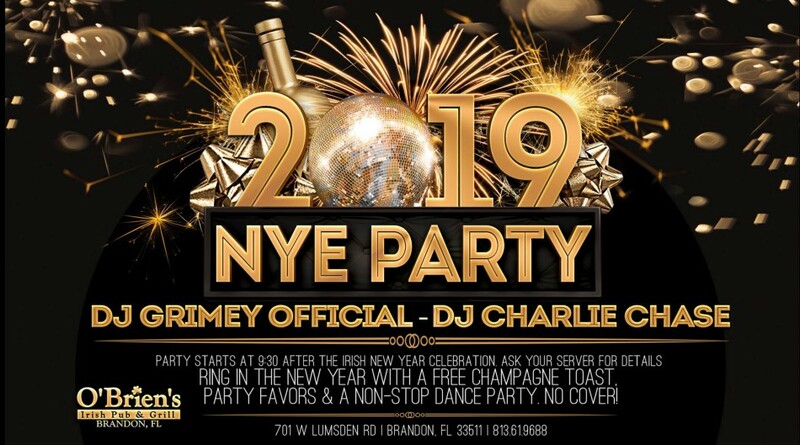 DJ Grimey Official & DJ Charlie Chase will keep your feet moving on the dance floor while you enjoy a free ? champagne toast at midnight & party favors.